It’s natural if you own a website to want to know who is visiting your site, which pages they are going to, how long they are staying etc. In fact, website statistics are an essential tool to measure and manage an online business successfully. Let’s say you put up a website but you’re not sure if you have the right content on your homepage. You do get some business from the site, but it could be better. Should you change your content? Without actual data and solid information it’s all guesswork. You have an idea why, but you aren’t really sure. That’s why you need accurate statistics. How many visitors are coming to your site? The first number you need to know is how many people are coming to your site. 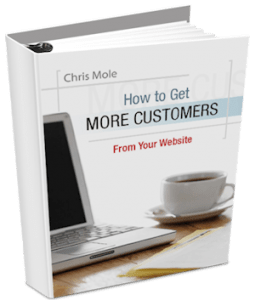 Make sure you’re getting a figure for unique visitors and not page views or hits. Where did your visitors come from? The next important stat is ‘where did they come from?’ For example, you want to know which search engines are sending you traffic and which other websites have a link that sends people to your site. You also need to know what search terms brought traffic to you. What are people typing into Google’s search bar to get to your site? When you know what search terms are producing the most traffic from search engines, you can adjust your keywords and your content, so you get more and more visitors coming in on those terms. There are two free services, which stand head and shoulders above the others. Google Analytics is the hands down choice of analytics software for small to medium busi­nesses. It offers a wealth of information about your website visitors and what they are doing on your site. There is a small learning curve to set up Google Analytics and get to grips with its features. Don’t let it scare you away. With just a little training, you will be able to use Google Analytics like a pro. And once you do, it will give you so much information that it can be overwhelming! Above: Google Analytics – the main dashboard. The number of daily visitors to your site is shown as a graph, at the top, and also in numerical form below. You can dig down into Visitors, Traffic Sources, Pages and other information. To use Google Analytics, you need a Google account. If you don’t have one already, it’s free to sign up. Once you have set up your Analytics account, Google will give you a special code, which your web developer can insert into your website. The code goes onto every page you want tracked. And hey, presto, you’re in business! Although it involves a few technical steps that may be hard to learn at first, using Google Analytics is something that gets much easier as time goes by and you get a better feel for the exact kind of data you need. And since it’s an application from Google, you can be certain that new and useful features will be coming around often. StatCounter is not quite as powerful as Google Analytics but it’s still a very comprehensive web analytics software. In fact, for small business owners, I often recommend StatCounter over Google Analytics because it is easier to use. StatCounter has a free version, which is fine for most business websites. There is also a paid version for sites which get high vol­umes of traffic. StatCounter has a feature called ‘Visitor Paths’ which tells you where your visitors came from (e.g. a search engine, another website, or simply typed the domain straight into their browser) the pages on your site that your visitors go to, and how long they stay on each page. This is a feature I find particularly useful, and which Google Analytics lacks.